ARTIFACT: This is a scarce circa 1943 US Army Chinese Training and Combat shoulder patch. It is Chinese made, with the design printed on the fabric. 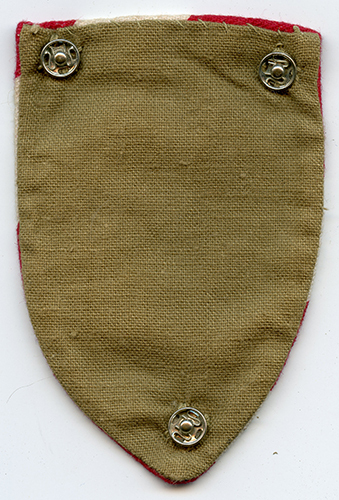 The patch has three snaps to fasten to the shoulder with. CONSTRUCTION/MATERIALS: Printed ink on silk.